Huckleberry Love: PinkBlush Maternity Giveaway and Review! Well, in case you didn't know, I revealed last week that there will be a brand new baby Huckleberry arriving in March. You can read all about it here. Now as you all know, while pregnant, a whole new wardrobe is required to accommodate your growing belly, so finding the cutest, trendiest maternity clothes is. a. must! 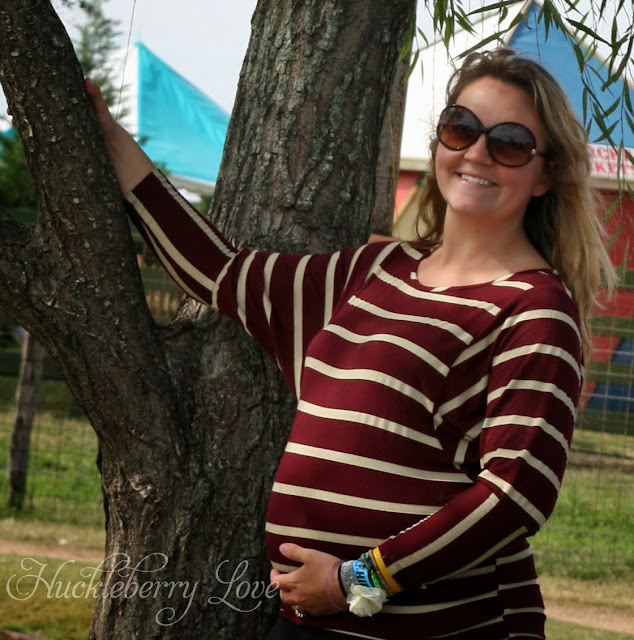 My new favourite place to shop for maternity clothing is PinkBlush Maternity. Seriously, all of their stuff is so cute. If you asked me to pick a favourite item, I really don't think I could do it. Everything is literally that great. They have everything from your necessary maternity tops and bottoms to maternity dresses, nursing clothing and even active wear! I absolutely love this store. Now, in my opinion the problem with needing a whole new wardrobe of maternity clothing is that it costs a fortune. Well, another great thing about PinkBlush Maternity is that they have really great prices. They always have great sales and if you purchase over $50 in their store, then they offer free US shipping! Definitely something I can't argue with! Now, as it so happens I did have to choose one of my favourite items to tell you all about and it happens to be this Burgundy & Beige Striped 3/4 Sleeve Shirt. 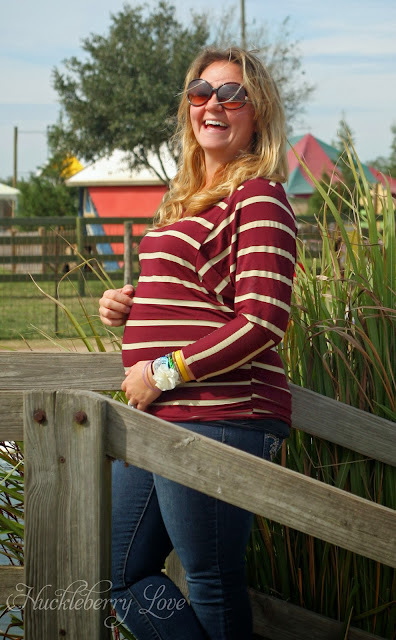 Not only is it an incredibly stylish piece of maternity clothing, but it is so comfy too. 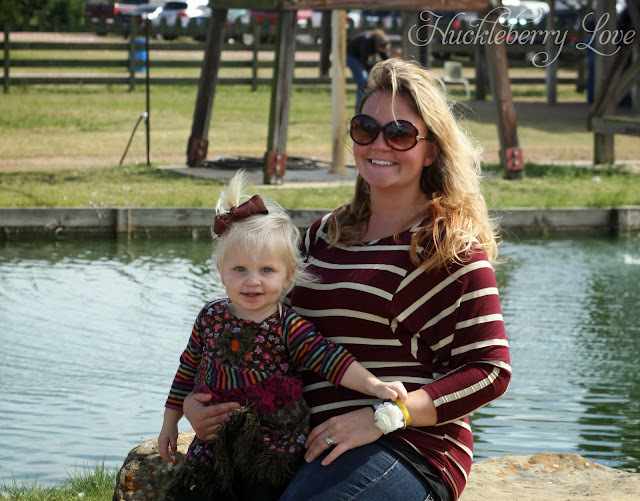 As a mom of two already, comfort is key and the way this shirt is designed, the mix of comfort and style is perfect! I love how the sleeves are tight around the forearm and then loosen up under the arm and into the tummy area. I also think the burgundy and beige colour combination is perfect for Fall. This will definitely be the shirt I wear at Thanksgiving this year. :) I have always admired those women that look so trendy, even while pregnant, and with this shirt on, I feel like one of those classy ladies! Yess!! 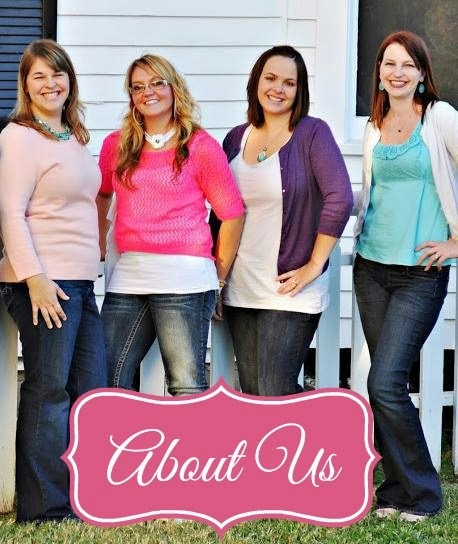 If you haven't already, I highly encourage you to discover PinkBlush Maternity today and also follow them on Facebook, Twitter and Pinterest! And that's not all, we're giving away a gift card to PinkBlush Maternity! One of you lucky Huckleberry Love readers will win a $25 gift card towards anything in the store. How awesome is that!? And all you have to do to enter is use the entry form below. Good luck all! Giveaway is open to US residents only, 18+ except where prohibited by law. Entrants who have won a giveaway from PinkBlush Maternity in the past 6 months, or have hosted a giveaway for PinkBlush Maternity in the past 6 months, are not eligible to win a gift card again. Huckleberry Love is not responsible for prize fulfillment. We received items from PinkBlush Maternity as compensation for this post. Facebook, Twitter, Pinterest and all other social media sites are in no way associated with this giveaway. For full terms and conditions, please use the Rafflecopter form. I really like the Black Tie Maternity/Nursing Dress- it is great for any occasion! I love the black maternity/nusring maxi dress...the magenta belted 3/4 sleeve maternity/nursing dress is a close second! I would totally get one of the maxi dresses! I would get the leggings or the chevron top! I like the Olive green tie maternity dress!